Dolls are Swiss made, unique in style and very limited in supply. 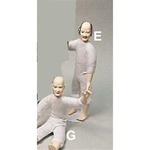 You may purchase un-dressed dolls to fit with your own outfits or already dressed dolls as show. 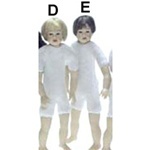 Great Dolls only one blonde boy left. Great Dolls come without wigs. Soft bodies with and without hair.